Yamaha Disklavier and Remote Lesson technology make intercontinental piano lessons a reality. September 2016: World-renowned pianist Maestro Byron Janis conducts a master class with students from the Moscow Conservatory. July 2018: José García-León of The Juilliard School and Lisa Yui of the Manhattan School of Music evaluate the performances of four Argentinian pianists. January 2019: A piano student in Xinhua, China plays a Liszt Etude while UCLA Keyboard Department head Inna Faliks watches and listens attentively. Sound pretty mundane? Think again. In each instance, these teachers and their students were on different continents, separated by thousands of miles. 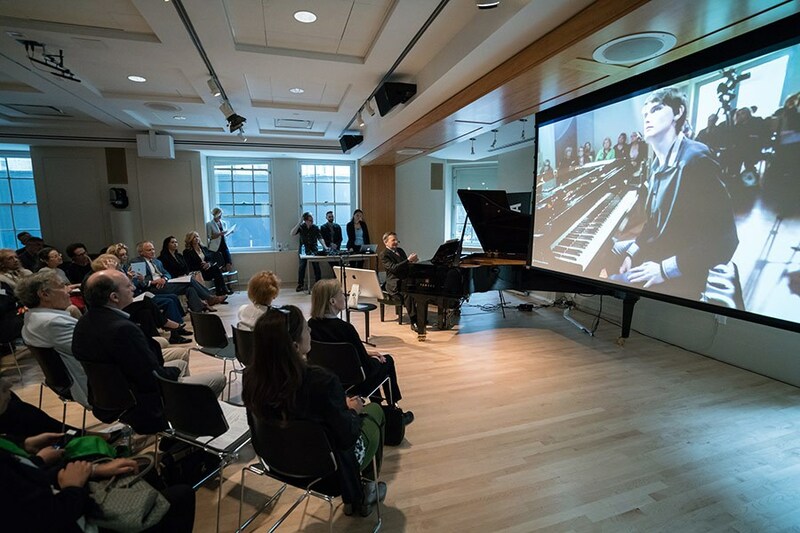 Yet thanks to the powerful capabilities of the Yamaha Disklavier™ reproducing piano, along with Yamaha Remote Lesson™ technology, the participants were able to experience these sessions as if they were together in the same room. It all starts with the Disklavier. Not only is it a stellar-sounding Yamaha grand, it’s the most technologically advanced piano in the world. Fitted with a collection of state-of-the-art optical sensors, it captures every nuance of a piano performance, from the pressure of the keystrokes (it can sense up to 1024 levels of hammer velocity) to the subtle gradations of pedal movement. It converts every aspect of a live performance into digital data, which can then be used to reproduce that performance with perfect precision on the same or a different Disklavier — without the pianist touching the keys. This reproduction is so precise that it can even be used for auditions for college music programs. 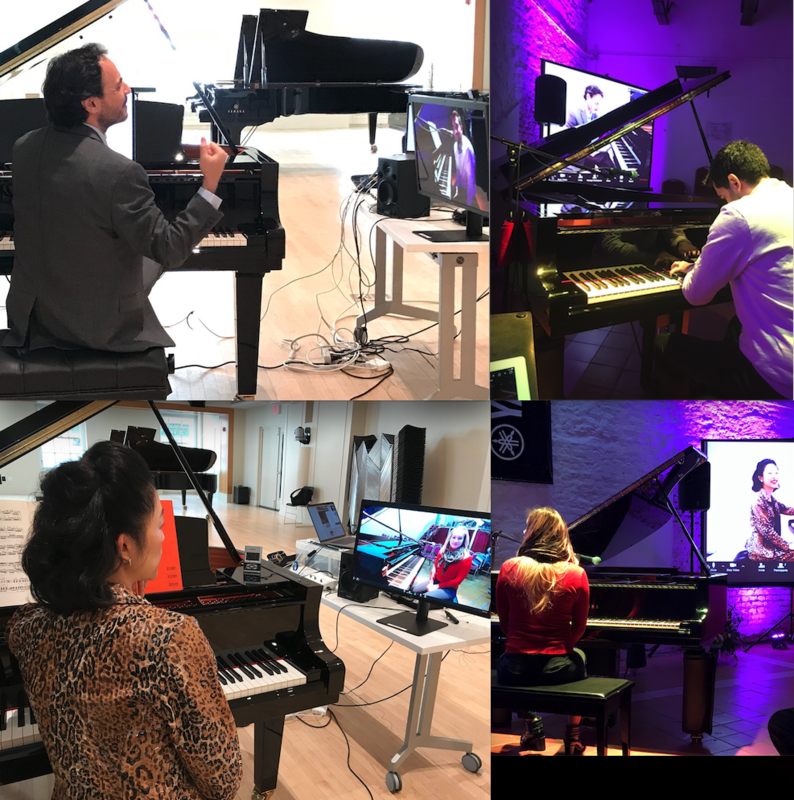 Students in the United States and elsewhere have taken advantage of the Yamaha Disklavier Education Network (DEN) Auditions program to record a performance to be used as an audition … and that same performance can even be presented to multiple participating schools. (Currently, nearly two dozen colleges and universities are part of the DEN Auditions program.) These remote auditions save time and travel expenses and make it possible for students to apply to more music schools and conservatories than otherwise would be possible. Yamaha Remote Lesson technology takes the process even further by connecting Disklaviers in different locations, networking them together so that master classes can be conducted from anywhere in the world to students anywhere in the world. As the instructor or student plays their Disklavier, the performance data is sent instantaneously over the internet so that the performance can be reproduced on another Disklavier in a remote location in real time … whether it’s around the block or around the world. As long as there’s an internet connection, the distance is irrelevant. What’s more, synchronized video streaming in each location allows the instructors and students to see each other and communicate as if they were in the same room. Byron Janis converses with a student in Moscow while seated at a Disklavier in New York. As the students played their pieces from Moscow, Janis was able to evaluate their performances, not just by listening but also by intently watching the keys and pedals moving on the Disklavier in front of him. Then, the conclusion of each performance, Janis was not only able to offer advice and critiques, he was able to play examples for the students too, who in turn had the ability to watch the Disklavier in their location as it accurately reproduced whatever Janis played in real time. The remote master class that Yui and García-León put on with the Argentinian pianists was the first ever such session in Latin America. The historic event was held as part of “Teachers del Norte-Pianists del Sur” (Teachers of the North-Pianists of the South), a festival created and directed by Yamaha artist Mirian Conti, designed to promote young Argentine pianists to the world and strengthen ties between nations. García-León (upper left) and Yui (lower left) during their remote master class. Yui and García-León evaluated performances by Tamara Benítez, Matías Palou, Natalia Suriano and Mariano Manzanelli. The instructors were located at the Yamaha Artist Services facility in New York City, while the four students were 5,300 miles away in Buenos Aires. The remote session UCLA’s Faliks participated in was a one-on-one piano lesson, just like those that happen thousands of times a day all over the world, except for one thing: the student and teacher were on opposite sides of the Pacific Ocean. Faliks taught from a Disklavier-equipped studio in the Ostin Music Center at UCLA, while the student, Meng Xinyuan, sat at another Disklavier at the Central Conservatory of Music in Beijing, China, performing Liszt’s Etude de Concert #2. Faliks then offered suggestions for how Meng could improve her pedal technique in order to add more expression… and Meng was able to comply in real time, earning praise from her instructor more than 6,000 miles away! Faliks (second from left) conducts a one-on-one piano lesson in LA … with a student in Beijing. 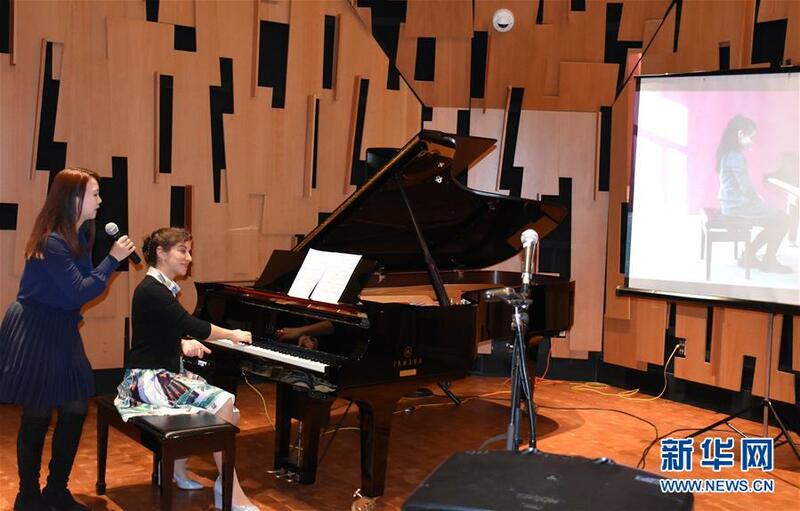 The session was the first in which educational institutions in China and the United States were connected using Yamaha Disklaviers and Remote Lesson technology. Undoubtedly, there will be many more opportunities for events of this type. The Yamaha Disklavier, in conjunction with Remote Lesson technology, gives new meaning to the term “long-distance learning” by providing piano students and teachers with a unique way to take advantage of the world-shrinking benefits of the internet. 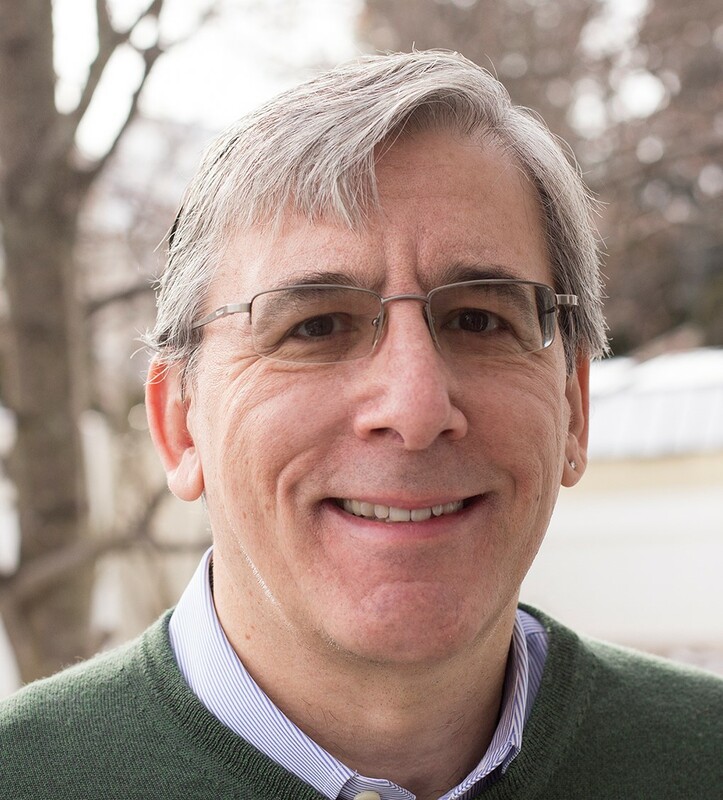 But perhaps more importantly, it does so while retaining the traditional student-teacher dynamic, which is such a vital component to music instruction. Photographs courtesy of Yamaha and Xinhua News Agency. Click here for more information about the Yamaha Disklavier. Click here for more information about Yamaha Remote Lesson Technology.